Welcome to the TIG Newsletters archive! Using the tabs below, you can browse archived issues of the TIG Dispatch, TIG Update, and TIG Link Newsletters. Here at TakingITGlobal, 2017 has been an exciting year of growth, challenge, and partnership as many of our initiatives evolved to new levels of impact and collaboration. Here are some of the highlights we're most proud of. On behalf of our team at TakingITGlobal, we wish you and your loved ones a new year filled with happiness! As we reflect on our milestones in 2016, we wanted to share our Top 16 highlights with you that we've just featured in a blog post. A sense of belonging is a human need, like the need for food and shelter and who we are is shaped by the people who we are connected to. As a part of this understanding, TakingITGlobal along with the Samuel Family Foundation are inviting youth to share their representations of inclusion in our What Does Belonging Look Like? contest. Through this contest we invite your imagination, voice and perspective to depict visual art pieces on the theme of belonging, so that we begin to tackle the issue of isolation together. Learn more and submit! TIG Dispatch 14.4: Up for a 30 day challenge? December's here: Get an early start on your New Year's resolutions by taking our 30-day Commit2Act challenge to reduce your impact on the planet! Now until December 31, turn your small actions into a big impact. All you need to do is follow 3 easy steps: Explore, Act, and Share. We'll even throw in a prize: Be one of the first 100 members to track one action per day for 20 consecutive days in December (use the new calendar to keep track!) and you'll win a limited-edition TakingITGlobal T-shirt. Each action is also an entry into a draw for to win 1 of 4 gift cards! What are you waiting for? Login to Commit2Act and take your first action today! TIG Dispatch 14.3: Help TIG raise $50,000 in 50 seconds and win! We have partnered with HP LIFE to help you develop your technology and entrepreneurship skills while raising funds for TIG programs - and get a chance to win a prize! Take 50 seconds to register for HP LIFE's free training portal and you'll be entered to win one of 5 Amazon.com gift cards that will be awarded to TIG members at end of day Friday! For each registration, HP will donate $1 to TakingITGlobal. Check it out and sign up now! TIG Dispatch 14.2: Get connected with Culture Connect! Interested in learning more about other cultures and connecting with amazing young people from across the world? Join the next cycle of Culture Connect, a four-week digital exchange program kicking off in late March! Each week participants will be provided with 'mini-missions' which encourage intercultural dialogue through photo uploading and discussions based on the following themes: Daily Life, My Roots, Our Vision and Our Quest. Want to get in on the action? Apply today! This program was made possible by the Intercultural Innovation Award. TIG Dispatch 14.1: 150 places to explore! Looking to brush up on your history and geography? Tap into Canada's rich diversity of stories and perspectives with your friends through Explore150 - a free mobile app for iOS and Android motivating youth to interact with one another to learn more about our vast history! Use Explore150 to rediscover, celebrate, and share the beauty and inspiration offered by natural, cultural, and historic sites across Canada. The in-app environment is a resourceful space for you to learn about sites of significance in each province and territory from the palm of your hand - as selected by our team of bloggers - and will undoubtedly motivate you to visit the sites to learn more. TIG Dispatch 12.3: Celebrating International Youth Day! August 12th is International Youth Day! Last week, leading up to today's celebrations, the United Nations hosted its 12th Annual Youth Assembly in NYC. TIG was there to host a series of meetings and sessions that focused on youth collaboration and creative expression through the Adobe Youth Voices Programs. The assembly focused on the work, successes and current challenges related to the Millennium Development Goals as well as the next round of development objectives. The event highlighted the key role that young people play in civil society as well as how the UN is integrating youth perspectives into policy development. For many years, we have been pushing for youth voices to be heard on an international scale, and we are thrilled about the progress in youth engagement and cross-cultural collaboration! Young people around the world have ambitions. Some want better jobs. Others want to create them. TakingITGlobal is helping our Innovate for Good members to Fuel the Ambition, to start new businesses, social ventures, or to get better jobs. From June 11th to 18th, donations to entrepreneurship and employment microprojects on the Give for Youth website (including four from Sprout graduates from Mexico, USA, Bangladesh, and Sri Lanka) will be matched at 50% with up to $150,000 in matching funds, courtesy of this Microsoft YouthSpark campaign. Join us in supporting opportunities for young people, and together we can Fuel the Ambition of those who need help making their dreams come to life! TIG Dispatch 12.1: New Header & International Days! Happy New Year, TIGgers! To help bring in the New Year, TIG staff have been working extra hard and are proud to announce the launch of the new International Days section and a new site header! From World Health Day to the International Day of Democracy and dozens of Internationally recognized days in-between, the newly designed pages make it easier for you to start discussions, make a commitment for action and drive change in your communities! You can also check out the International Days pictures on our Pinterest account! We hope you love the new International Days pages as much as we do! TIG Dispatch 11.9: Commit2Act and win! Did you walk or cycle to work today? Do you air dry your laundry? Do you volunteer with campaigns and projects in your community? We want to reward you for your action! 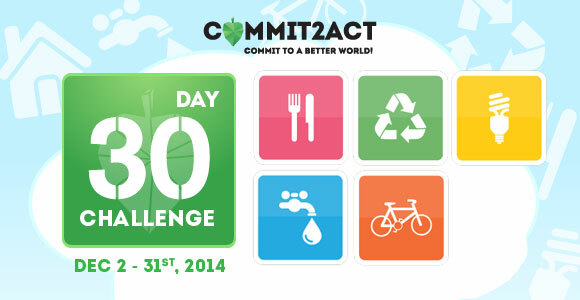 Each day you take an action through the Commit2Act App you earn an entry in our contest to win an iPad or iPhone 5! Prizes will be drawn and awarded each month (Pernille from Denmark won last month's prize), so commit to world-changing behaviours each and every day to maximize your chances of winning. We've added new commitments around Taking Action on Gender Equality in Movember and Stand with the Athabasca Chipewyan First Nation to stop tar sands expansion on their traditional territories. Commit2Act today! Do you have an idea? An idea that you know could make a positive change for the community you live in, or even beyond your borders? Now you can get a powerful online space for your idea with Initiatives! TakingITGlobal is excited to announce our newest Action Tool, Initiatives: a platform for sharing and building your project, campaign, coalition, or taskforce with other like-minded youth around the world! Your Initiative can benefit from the large membership and powerful platform of TIG, while maintaining your own customized space. You can pick from multiple domain names and several design templates, plus import content from your social networks with just a few clicks. So if you've got an idea that you want to share with the world, visit Initiatives today and get started! Dispatch 11.7: Commit2Act, Aspire Awards, and EFF Debate today! Small actions can have a big impact! TakingITGlobal is thrilled to announce the launch of our new mobile app, Commit2Act. Through Commit2Act you can engage with leading campaigns around the world and promote issues you care about. Sign on to make commitments that matter to you, and compete with other like minded people in a community of inspiring youth changemakers! You can post and promote your most important actions to your friends, while informing and inspiring all of your followers and contacts on Facebook, Twitter, Yahoo and LinkedIn. Commit2Act is Free to Download, and available now via iTunes! Join other young people around the world in taking small actions that collectively add up to significant change: Commit2Act Today! Dispatch 11.5: Earth Day this Sunday and Rio+20 Opportunities! Adobe Youth Voices is a program that supports youth all over the world in thinking critically about social issues and expressing themselves creatively using multimedia tools. In 2011, TakingITGlobal engaged nearly 3000 youth in 18 countries in creating multimedia pieces about their communities, their issues, their hopes, and their demands. The collection features work by youth in 18 countries including Guatemala, Mexico, Brazil, India, South Africa, Kenya, and Egypt. Each media piece is unique and has a distinct youth voice. Some call for action, while others call attention to an issue. Some tell stories about a community, a person, or a moment in time. Each project provides a unique insight into the aspirations, ideas, and creativity of a young person somewhere in the world. Visit the Adobe Youth Voices Global Gallery collection and learn about the hopes, concerns, aspirations, and ideas that youth artists want to share with the world! TakingITGlobal Dispatch 11.3: #occupy is growing! What started on September 17th as an occupation of a park near Wall Street in New York has steadily gained momentum, growing into a global movement through social media, live streams and ongoing demonstrations. On October 15th, the occupy movement went global with a series of local occupy events. Globally, over 2,500 people have been arrested so far for peacefully demonstrating, and many have been assaulted by police. Discuss and share your thoughts on this new trend in youth activism on our discussion boards. Also, show us how you feel by submitting a photo to our Global Gallery. All you need is a big blank sheet of paper, a marker, and a camera: write your message to the occupy movement and submit it to this gallery set. The winner will receive an $80 donation to be given to the #occupy movement of their choice. TakingITGlobal Dispatch 11.2: Year of Youth Wrap-up! We've reached the end of the United Nations' Year of Youth, celebrating dialogue and mutual understanding among and for youth. Throughout this year, the UN has sought to promote peace, freedom, progress and solidarity towards creating independent free thinking youth who can act as leaders for fulfilling the Millennium Development Goals. To mark this occasion, TakingITGlobal is reaching out to its members around the world in a live chat event in the month of September. The chat will be an opportunity for young leaders and hopeful change makers to think back on this year and share their experiences in trying to reach their goals. Tell your story of interesting members you've met through TIG! Are they still on TIG? Have you met them in real life? How did you connect? The chat will be a Q & A led by TakingITGlobal's Online Animator, Adrian Lachance. Also make sure to check out the TIG Year of Youth blog, where we want you to contribute your thoughts, reflections, experiences, work, and connections from the past year! Join this group blog and participate now, and document your impact in your communities, and the world, today. TakingITGlobal Dispatch 11.2: Change Inc.
Are you between the ages of 16-21 living in Ontario, Canada? Want to turn your world-changing idea into an innovative social enterprise? Change Inc.: Cultivating Young Social Entrepreneurs, led by TakingITGlobal in partnership with the Public Policy Forum, aims to develop the entrepreneurship skills of Ontario youth to imagine and create their own social change projects by facilitating learning, skill building and mentoring opportunities between outstanding youth and established social entrepreneurs. Through an interactive, self-directed e-course, 100 Ontario youth aged 16-21 can take part in a unique capacity-building opportunity to develop essential social entrepreneurship skills, including team building, project management, communications and leveraging technology to design social change projects. The Change Inc. E-course will take place over a 12-week period from September to December 2011. Due to the generous support of the Ontario Ministry of Economic Development & Trade, the Change Inc. E-course is being offered at a reduced rate of $20 per participant. Don’t miss your chance to register by August 23rd, 2011 or contact Sara Hassan, Change Inc. Outreach Coordinator, at sara@takingitglobal.org. TakingITGlobal is proud to announce the successful conclusion of our first Adobe Youth Voices (AYV) cycle. AYV at TIG aims to engage young people from all over the world and challenge them to think critically about local and global issues through the use of multimedia artwork. By providing a forum for creative expression, AYV enables youth to take on leadership roles, harness their energy and ideas, and allow them to bring about change through consciousness building within their communities. As a platform for self expression, AYV brought together 24 amazing organizations located in 6 different countries to engage over 1,000 youth. Take a look at some of the inspiring final projects participants created in our Global Gallery Exhibit. Continuing this amazing work, we're preparing to launch the second cycle with additional 30 new amazing partner sites working in youth development across the globe. The new partner sites will work in collaboration with 20 sites from the previous cycle to ensure continuity in their youth programs, supporting them in empowering youth to express themselves creatively. TakingITGlobal Dispatch 10.9: Sprout Video Launch! The Sprout E-course and Pearson Fellowship for Social Innovation have recently released a new promotional video featuring several Sprout alumni! Young people everywhere have ideas, passion, and energy to change the world, but they need the skills and support to lift their ideas off the ground. Sprout, a program of TakingITGlobal and the Pearson Foundation, aims to equip a diverse generation of courageous young people with essential project management skills to craft effective social innovation projects and change their corner of the world for the better. To learn more about the program, visit the Sprout website. The next Sprout e-course cycle starts on Monday, July 4 - register today! TakingITGlobal, with support from the Canadian Heritage "Youth Take Charge" program, is pleased to announce the official launch of a national digital media arts and citizenship project called Defining Moments: Discovering our Canadian Stories. The project is focused on Canadian identity and citizen engagement through artistic expression. Visit the Defining Moments website to access an interactive timeline of moments in Canadian history that will expand and evolve through collaboration from TIG users; an art contest that will culminate in an art exhibition, workshops that will be run by youth, for youth and held in each province and territory on the topic of Canadian identity! Defining Moments is seeking dynamic youth workshop facilitators from Prince Edward Island, Nunavut, and the Northwest Territories to conduct public workshops. TakingITGlobal Dispatch 10.7: Launching Badges and Swahili! February 28th marked a very special day for the TIG online community: we celebrated the launch of our Swahili language platform, which marked the 13th language platform on the TIG website. This is huge! Swahili is one of the largest Bantu (e.g. native to Africa) languages out there with an estimated 80 million speakers and growing fast. Since 2009, a total of 28 volunteers have worked to translate tens of thousands of words and phrases - much of the content on our site - to bring TIG's resources and online community to Swahili speakers. Learn more about some of the Swahili team members, including their favourite Swahili word! TakingITGlobal Dispatch 10.6: Shout + DeforestACTION! TakingITGlobal is excited to announce the launch of Shout, a multi-year environmental education program, run in collaboration with Microsoft and Smithsonian Institution. The Shout program will utilize technology to help students explore, connect and act to address some of the world's most pressing environmental issues, with an initial focus on land. In the first Global Action, DeforestACTION, you can take part in an initiative to re-claim native forests that are at risk of destruction and exploitation for the production of palm oil. Did you know that when you eat foods that contain non-sustainably harvested palm oil, you could contribute to the destruction of forests? Take a look at some DeforestACTION videos to see why TIG is urging you to get involved, and see how some students have already contributed to the project. Check out the Shout web site to learn more, including dates for upcoming web events featuring Smithsonian experts! "They say that you can't truly learn a language without immersing yourself in its culture. The same can be said the other way around, you cannot truly experience a culture, without knowing the language". May 21 was the World Day of Cultural Diversity for Dialogue and Development. We invite you to join the dialogue through our multilingual blog contest. 2010 has been declared the International Year of Biodiversity by the United Nations. Join in on celebrating the value of biodiversity, we rely on it to provide us with food, fuel, medicine and much more which we cannot live without. Get involved; learn more, speak out, and take action to help safeguard what is vital to sustaining life on OUR Earth. 6.4: New Features and Urban Issues! 6.2: Disability, Two Surveys and More Ways to Make Change! DeforestACTION, a part of our Shout environmental program, has teamed up with acclaimed conservationist Dr. Willie Smits and Orangutan Outreach to bring you Project Borneo! Ten incredible young leaders will be given the opportunity to spend five months in Borneo implementing the DeforestACTION project. Your involvement in will be documented and developed into a 3D documentary feature by Virgo Productions and National Geographic Entertainment! If you are ready to change the world, take action to bring an end to the destruction of the world's forests, and protect and save wild animals (particularly orangutans) then create a video and enter the contest before the deadline - March 15th! TakingITGlobal Update: My TIG Revamp! The month of February has seen an exciting change on TIG: My TIG, your personalized members-only homepage, has been transformed! Our team has brainstormed, coded, tested, and implemented many changes for your enjoyment. Upload a higher-quality Avatar; head to the Bulletin Board to update your status; share your global travels, and join our feedback discussion to let us know what you think! The Youth Effect is a toolkit that has been created to inspire the leaders of organizations worldwide to engage with youth and ensure that children and youth play an integral role in making decisions that will impact their future. It was produced in collaboration with the Young Global Leaders' Youth Task Force and powered by TakingITGlobal. As the project lead for The Youth Effect, Jennifer Corriero of TIG discusses how important it is that youth be given the opportunity and platform to express their concerns and articulate their hopes for the future. Use TIG's discussion boards, blogs and action tools to express your goals and concerns and be an agent for change in your own community! The International Day for Tolerance is celebrated every November, to promote freedom and progress and to encourage tolerance, respect, dialogue and cooperation among people, cultures and nations everywhere. Before November is over, take some time to think about how you can promote and encourage tolerance in your community and remind others that tolerance and non-violence are avenues towards peace. How do you define tolerance? Participate in the discussion and share your voice. TakingITGlobal Update: Shout + DeforestACTION Launch! TakingITGlobal has launched Shout, an exciting new environmental education program, in collaboration with Microsoft and the Smithsonian Institution. Shout inspires students to explore, connect and act to address some of the world's most pressing environmental issues. Launched along with Shout is the DeforestACTION program, challenging students from around the globe to work together and re-claim forests that are at risk of deforestation for the production of palm oil. Take a look at the DeforestACTION videos to see why TIG is urging you to get involved, and see how students have already contributed to the project! It's 2010 and there is still a long way to go to end violence against people based on their sexual identity. There have been recent reports in the media of young people being bullied to the point of suicide; it is time for this hate to stop, no one should be made to feel bad for who they are or who they love. Commit to take a stand against this type of fear and violence today. Also, check out TIG's contribution to the It Gets Better video campaign, a campaign which encourages gay youth to make videos telling other gay youth that life really does get better after high school! TakingITGlobal Update: Help TIG win up to $250,000! Pakistan needs your help! For the past three weeks the people of Pakistan have been dealing with the death of family members, loss of their homes, lack of food, a magnitude of diseases and much more, all due to the floods that devasted the country not too long ago. Donate to the Pakistan Red Crescent Society or OXFAM and share your thoughts and feelings about the disaster with other members in our featured 2010 Pakistan Floods Group Blog. TakingITGlobal Update: Our Year. Our Dream. Our Mark. 2010 has been declared the International Year of Youth by the United Nations and TakingITGlobal wants to help you celebrate YOUR year. Share your vision in the form of a video or digital image and enter to win up to $600 from Amazon.com sponsored by Intelius. Submit your work before September 2, 2010 and celebrate your voice, your dream, your year! In December 2009, the United Nations General Assembly adopted a resolution proclaiming 2010-2011 as the International Year of Youth. The year will commence on August 12, 2010 which is the International Youth Day and will actually coincide with the 25th anniversary of the first International Youth Year in 1985. Let TakingITGlobal help you start the celebration! Promote your youth organization, share your thoughts through TIGblogs or find out about different events happening around the world. It's our year! Let our voices be heard! TakingITGlobal is collaborating with iEARN to host the 14th annual iEARN Youth Summit! This event seeks to promote the use of communication technology in education to improve health and welfare among communities. Want to be part of the action? Check out the Virtual Conference and attend live sessions through webcasts and see videos, photos, discussions, and blogs! Stay tuned - the conference is going on all week. We're grateful to have support from Intelius as the lead sponsor of the Virtual Conference! The International AIDS Conference is the premier gathering for those working in the field of HIV, as well as policy makers, persons living with HIV and other individuals committed to ending the pandemic. Vienna, Austria will be hosting the Rights Here, Right Now conference from July 18-23. The Conference aims to underscore that the protection of human rights is a fundamental prerequisite to an effective response to HIV. TIG's Global Youth Coalition on HIV/AIDS (GYCA) will be on the ground at the conference as part of Vienna YouthForce, a global platform for international, regional and local youth organizations who focus on HIV, AIDS, along with sexual and reproductive health and rights. Check out the latest news from the largest, most comprehensive HIV/AIDS conference. Over one million people have signed-on to demand bold action from the 2010 Summit Tables. We want our leaders to end poverty, tackle global warming and create a global economy that's fair for all of us. Get involved with the Short Change Challenge, sign the G20 declaration or add your voice to the Flat Leader photo petition. The world's premier student technology competition that challenges students to use technology to solve the world's toughest problems awaits your participation. From June 8th through July 7th you are invited to view videos created by student teams and vote for your favorite project. Your vote can help raise awareness for critical social issues in education, healthcare and environmental sustainability. Vote for the Imagine Cup People's Choice today! As a sponsor of the Imagine Cup, TIG will be represented by co-founder Michael Furdyk, who will present one of the awards at the World Festival in Warsaw, Poland next month! Watch the World Festival live on July 8th! TakingITGlobal Update: World No Tobacco Day! Biodiversity is beautiful... so share the beauty! The International Day of Biological Diversity is a United Nations-sanctioned international day annually celebrated on May 22 for the promotion of biodiversity issues. This year the International Day of Biological Diversity is part of the International Year of Biodiversity, inviting the world to take action in 2010 to safeguard the variety of life on earth. Visit TakingITGlobal's Global Gallery to share your biodiversity photos, artwork, and media creations or simply to witness the inspiring submissions by other members. Publishers and journalists are arrested and jailed every so often because they are seen as a threat. May 3 celebrates World Press Freedom Day, honoring sacrifices around the world made for freedom of the press. This further reminds governments of their duty to respect and uphold the right to freedom of expression, central to the Universal Declaration of Human Rights. Join TakingITGlobal in celebrating the day by submitting to Panorama Zine, or sharing a publication through our Toolkits and Publications section. Fight climate change with the flip of a switch! On Saturday March 27 at 8:30 p.m. The Global Youth Action Network and millions of others around the world will call for action on climate change by doing something simple - turning off the lights for one hour. Led by the World Wildlife Fund, Earth Hour symbolizes that by working together, we can have a positive impact in the fight against climate change. You can help! Sign up for ideas and toolkits that will help you plan your earth hour and to encourage your friends and family to join the effort. The International Day for the Elimination of Racial Discrimination is marked annually on March 21. On that day, in 1960, police opened fire and killed 69 people at a peaceful demonstration in Sharpville, South Africa, against the apartheid 'pass laws'. Proclaiming the day in 1966, the General Assembly called on the international community to redouble its efforts to eliminate all forms of racial discrimination. Learn more about this issue, check out our member submitted articles about the issue of racism in our Panorama magazine. TakingITGlobal Update: Global Youth Culture contest! Do you feel part of an emerging global youth culture? How do you promote dialogue and understanding among different cultures? Youth for Change wants to know! The program is organizing a multimedia writing and art contest on the theme of "Global Youth Culture". Submit your article, short story, poem or artwork in Arabic, English or French for your chance to win. Top entries will also be featured online and in a publication, as well as showcased at the World Youth Congress in Istanbul, Turkey and the Bibliotheca Alexandria in Egypt. The deadline for submissions is 10th April, 2010. Participate now! Are you interested in changing the world? Do you have an idea for a project in your community? Sprout is an e-course designed for aspiring social innovators and environmental entrepreneurs who want to grow their project ideas and learn to create lasting changes in their communities. Sprout allows participants to connect with experienced e-mentors of all ages who provide inter-generational support, encouragement and insight throughout the Sprout journey. Apply before March 14, 2010 if you want to be a participant or an e-mentor. You have a chance to interact with an international learning community of youth and an opportunity to turn your ideas into reality. So what are you waiting for? TakingITGlobal is revamping our projects platform to be even more useful to support the initiatives you're organized and involved in! We want your input to help us help you - please take a minute to complete our survey and you'll be entered into a draw for a TIG Prize Pack! Check out two upcoming live chats just before the Olympics gear up in Vancouver! February 4, 8:30 to 9:30 Pacific time will feature Greg Mortenson, the co-founder of Central Asia Institute, founder of Pennies For Peace and co-author of Three Cups of Tea. In 2009, Mortenson received Pakistan's highest civil award, Sitara-e-Pakistan ("Star of Pakistan") for his dedicated humanitarian effort to promote education and literacy in rural areas. On February 11, 8:45 to 11:30 Pacific time - MichaÃ«lle Jean, Governor General of Canada and TIG Patron will host a high-energy, intercultural conversation with young leaders on the Olympic Truce and the relevance of its values of peace, intercultural exchange, mutual understanding and cooperation to Canadian society. Check out the Sharing the Dream project page for more information. TakingITGlobal's delegation at the COP15 United Nations Climate Change Conference has a lot to report back to the members of the TIG community. This is an update of the action at the conference, including Barack Obama's speech today at COP15, and an art contest to help you participate in making a difference! Watch the Opening Film of COP15. Additional videos are available here and here, from Sarah Toumi's blog, one of the TIG members at COP15! Many delegates participated in 'Young and Future Generations Day' on December 11th, marked by a demonstration showing the importance of the sustainability for our future. Breaking News: Just hours ago, before the closing of the conference today, it was announced that the US, China, India, Brazil, and South Africa had reached an agreement that US President Obama called "meaningful and unprecedented", to limit warming to 2 degrees Celsius. The agreement isn't legally binding, something many had hoped for, hasn't been agreed to by other member states of the UN, and falls short of the 1.5 degree cap demanded by many threatened island nations. TakingITGlobal Update: Welcome to 2010! The United Nations declared 2010 to be the International Year of Biodiversity, a year long celebration of life on earth and of the value of biodiversity. We rely on this diversity of life to provide us with the food, fuel, medicine and other essentials we simply cannot live without. Yet this rich diversity is being lost at a greatly accelerated rate because of human activities. This impoverishes us all and weakens the ability of the living systems, on which we depend, to resist growing threats such as climate change. Check out the worldwide celebrations and then find out how you can participate in your community. Got opinions? We're listening. There are two ways for you to speak up: Join the online conversation or host a town-hall meeting with young people in your community using the facilitation guide. Share your ideas to redesign the world before the December 16th deadline...because all of these ideas are going to be presented at the World Economic Forum in Davos at the end of January! TakingITGlobal Update: Stand up Against Poverty TODAY! For the fourth year in a row, millions of people around the world will Stand Up and Take Action to demand that world leaders end poverty and achieve the Millennium Development Goals (MDGs). Make sure to submit your numbers before 23:59 on Oct. 18th to be counted by Guinness Book of World Records. After the 18th, keep the pressure on world leaders: download TIG's MDG guide to Action to help get you started. Are you interested in changing the world? Do you have an idea for a project in your community? The Sprout e-course provides innovative young people (ages 16-30) with a unique way to learn, grow and connect with like-minded leaders in a supportive online environment that encourages your hard work to create a better world. The Sprout journey offers a chance to learn more about community-focused project management, apply your knowledge and skills, interact with an international learning community of youth and an opportunity to turn your idea into reality. What are you waiting for? Sprout your project and change the world. Applications for participants and e-mentors are due September 27, 2009. For more information please visit www.sproutecourse.org. Did you know you can help raise funds for TakingITGlobal through simple online actions? This month - you contribute $5 just by signing up with our online partners at Better The World! During August's "The $5 Give" contest, TIG will receive $5 for each member that joins, and you could win an 8 GB iPod touch for getting involved! Get started and learn more! "How inappropriate to call this planet earth when it is quite clearly Ocean." - Arthur C. Clarke. Unfortunately, our oceans are in deep deep trouble: 90% of large predatory fish stocks have been exhausted to fill our plates and in many places plankton are outnumbered by plastic. To celebrate World Oceans Day on June 8th, TakingITGlobal invites you to check out our member blogs about the ocean and commit to using less plastic to reduce further stress on marine ecosystems. During the month of May, TakingITGlobal and the International Labour Organization invite you to dialogue for change to put an end to Child Labour! To celebrate the 10th anniversary of Convention 182 on Child Labour, we want to collect your art on this theme. First check out our Dialogue for Change Project Page for more details, then send in your artistic creations to our Global Gallery. TakingITGlobal Update: GYSD & Win a fellowship to Mexico! To celebrate Global Youth Service Day, April 24-26, 2009, youth around the world organized service projects to address the needs of their local communities. Through service, young people gain experience, networking opportunities and skills development; they also add their voices to the global youth movement and take concrete action towards making the world a better place. Browse events around the world to find out about how youth took action on GYSD. After all of the fantastic material submitted by TIG members to our editorial team, the new issue - TakingITMobile - is now up on the Panorama homepage. This issue is focused on the mobile phone and other means of mobile communications, and how they affect our world. Be sure to check out the featured writing section of the issue to read about how TIG members are using these technologies! Finishing school is a time of exploration of interests, abilities, options and dreams. It's a time of transition towards independence and decision-making, involving many life changes. The BeyondGraduation.ca website aims to support young people with disabilities in the transition process. Youth with ALL abilities are invited to join the community (you can log in with your TIG Username and Password!) 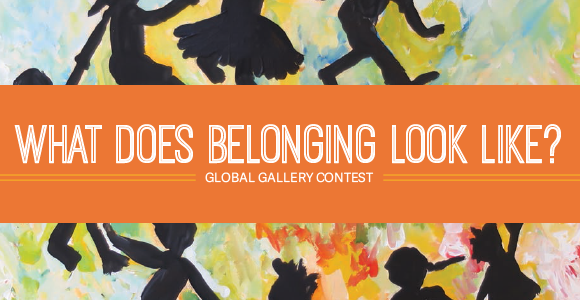 and share their experiences through posting stories and contributing to our Art Contest on the theme of Belonging! Find out more about the contest organized by TakingITGlobal and Plan Institute! January 26 marked the first day of the Year of the Ox. This is a very special time for many in the TIG community and the entire team at TakingITGlobal want to wish you all the best. Gong Xi Fa Cai! On Tuesday, with the world watching, Barack Obama will be inaugurated as the 44th President of the United States of America. How do you think this transition will change the world? Tag 'obama09' to the thoughts you share by posting a blog, submitting art to the gallery, or sharing an article and we'll highlight the collection of your perspectives on the site this week! The entire TakingITGlobal team would like to wish you Happy Holidays - we're excited to keep working alongside you to create positive change in the New Year! Send one of our Holiday e-Cards to your friends on TIG today. They are available in Gold, Red, Green, Violet, and Blue. The AIDS pandemic caused by the spread of HIV infection is one of the most destructive epidemics in recorded history with over 25 million people killed by the disease. World AIDS Day, observed on December 1 each year, is dedicated to raising awareness of the AIDS pandemic and how it can be stopped. Get involved with this very important issue by visiting our HIV/AIDS issue page, containing many resources on getting involved, organization profiles, youth media, and more. As a young person, do you feel you have a role in promoting cross cultural dialogue? Do you know how to harness the potential of new media (social networks, blogs, podcasts, videos, etc.) to promote dialogue between cultures and make your voice heard? Join TIG's Live Chat on 'New Media and Intercultural Dialogue' on November 29th (4-6 PM GMT) to share your perspectives about this important topic and to learn from our special guests and other TIG members more ways to use new media to promote dialogue among youth around world! Ever year on November 16th, people around the world come together to raise public awareness about the damages to society; due to intolerance. Violence, racism, and other acts of hate are things that do happen everyday, and this is the generation that will put a stop to it. This day functions as a reminder to everyone that we should treat each other as equals and live together in peace. TakingITGlobal's next Live Chat will be on November 6th at 2pm (GMT/UTC)! In December the UN will be holding its next International Conference on Climate Change in Poznan, Poland. TakingITGlobal's 'Prepare for Poland' Live Chat will feature speakers who are traveling to Poland to represent youth at this important meeting. Find out what's being done to prepare and how you can do your part! On October 15th 2008, thousands of bloggers united to discuss a single issue - poverty. The aim was to raise awareness, initiate action and to shake the web. TakingITGlobal was among the 12,836 sites that participated. 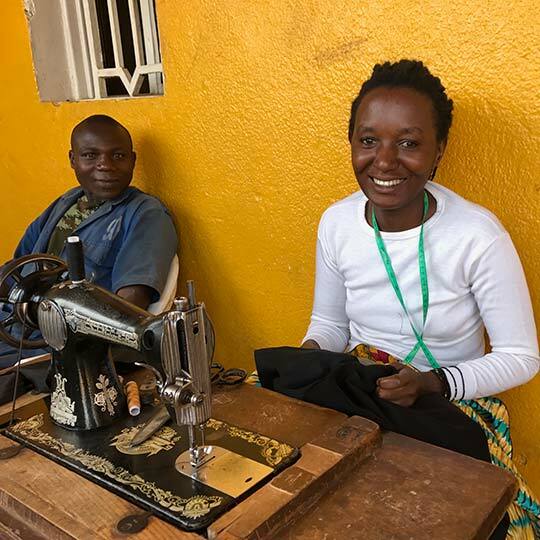 TIGer Wambui from Kenya participated on Blog Against Poverty and discussed that "while it is important to empower the poor so that they lead quality lives, we need to think of how we as a society are participating in actions that perpetuate rather than eliminate poverty." Wambui is right, we need to rethink and react differently to overcome poverty. Read more about Wambui's perspective on combating poverty. News from TIGed: Global Dignity Day, Sprout Ideas Camps and COP21! News from TIGed: Pan Am Games, Social Innovation and ISTE! News from TIGed: Future Friendly Schools, Polar Bears, and more! News from TIGed for March/April: Exciting new PD! TIGlink 5.2: Sprouting Ideas and Empowering Student Voice! On May 21st, TakingITGlobal held our third annual Education for Social Innovation Student Symposium to commemorate the projects completed through our Education for Social Innovation course. This course engaged more than 90 teachers and hundreds of students by encouraging them to co-develop classroom based projects on local and global issues. 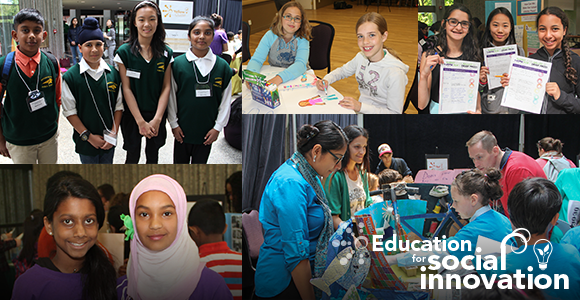 At this event, held at the Ontario Science Centre, students across the Toronto District School Board were able to showcase their various social innovation projects. The Student Symposium allowed participants to recognize that “making a difference” in our communities and the world can be a goal we all help to achieve. Read more and watch the wonderful video overview! 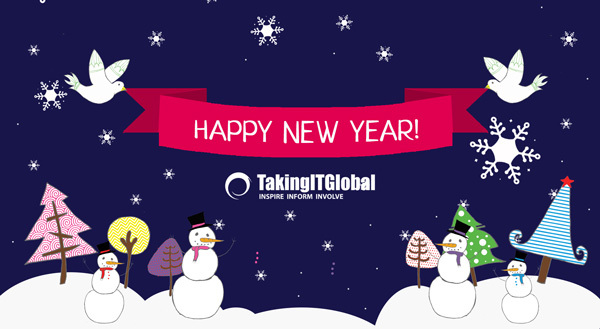 Happy New Year from TakingITGlobal! As TakingITGlobal member, we thank you for being part of our journey and believing in the importance of empowering youth to understand and act on the world's greatest challenges. Reflecting on 2014, we wanted to share 14 ways that we moved towards our vision and mission, as we look forward to expanding our circle of partners and supporters in the year ahead! Last month, Jennifer Corriero represented TakingITGlobal as member of Microsoft's newly formed YouthSpark advisory council. The group met in New York to discuss priority areas including entrepreneurship, employment, and 21st century skills. The event concluded at a special dinner as part of the Clinton Global Initiatives, celebrating the first anniversary of the YouthSpark announcement. 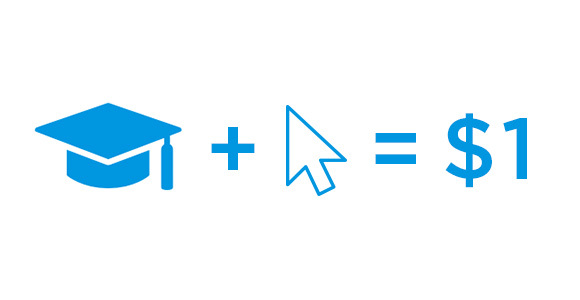 Since May 2012, TakingITGlobal has partnered with Microsoft to develop and grow the Innovate for Good online community to more than 2,000 youth who attended events across the globe, with more than 50 successfully graduating from our Sprout Social Innovation e-course. 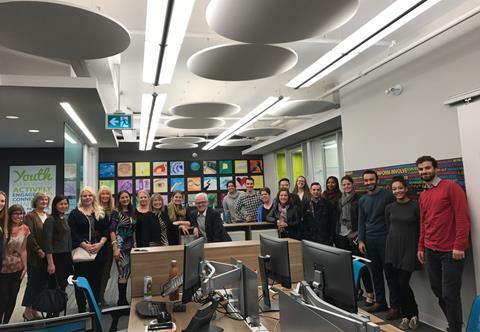 We were thrilled to collaborate with the Toronto District School Board (the 4th largest in North America) to develop a unique professional learning program for more than 100 educators and board staff over the last 4 months. Educators participated in one of TIGed's 3 online professional development e-courses, receiving release time to collaborate with their peers and develop classroom projects that many of them were able to introduce to their students before the end of the school year. Watch our video highlights of the partnership, which culminated in an recent Innovation Fair showcasing projects. We look forward to expanding our collaboration in the new school year! We often don't realize our own sense of accomplishment until we pause and look back to track our progress in pursuit of possibility. Over the holidays we've had an opportunity to reflect on our milestones at TakingITGlobal over the past year and we wanted to write in celebration of twelve key contributions in 2012! On January 31st, young artists from across Canada came together to discuss how the arts and social technology can contribute to Canadian identity and citizenship at a landmark event called National Projections. Over 100 attendees gathered to celebrate the culmination of the Defining Moments nationwide youth art program. Youth from coast to coast united through virtual interactive activities, and a featured in-person event in Toronto at the House of Moments art space. The celebration continues this weekend at Ottawa's Winterlude festival, where the winning artists will be presenting their art to the public at Confederation Park following an Awards ceremony that took place at the National Gallery of Canada. On Thursday September 20, TakingITGlobal's Executive Director Jennifer Corriero joined Microsoft CEO Steve Ballmer and EVP Brad Smith to announce Microsoft YouthSpark, a new companywide initiative to create opportunities for 300 million youth through a range of global programs. We are working together on Microsoft Innovate for Good, a network bringing together youth supported by Microsoft around the world with our online community expertise and social innovation programming, providing them with training and grants to grow and launch their ideas. Ballmer says "We believe that working with our partners we can help empower young people to change their world, and we are committed to using our technology, talent, time and resources to do that." Also launched is Give for Youth, a portal showcasing microprojects that support youth capacity-building around the world. Microsoft is matching the first $200,000 of donations through the site - with $100,000 already being donated in the first 12 hours! Your donation to projects supporting our members could be matched if you act fast. TakingITGlobal applauds this historic commitment from Microsoft and is thrilled to have been selected a key partner in bringing it to life! TIG's Global Gallery now hosts two new collections of art, resulting from youth engagement in the Adobe Youth Voices program and the Defining Moments project. The multimedia creations in "Perspectives: Our Communities, Our World" showcase the stories, insights, aspirations, and ideas of the youth from 18 countries who participated in the Adobe Youth Voices program, which has recently been renewed for another year. The Defining Moments set features over 700 works of art produced by young Canadians as part of a digital media arts project supported by Canadian Heritage. The top 26 entries, to be announced on Canada Day (July 1st, 2012), will form a mobile exhibit on national heritage and identity that will travel the country until 2013. The TakingITGlobal Annual Report tracks the pulse of our progress over the 2009 fiscal year, and in addition to recognizing the generosity of our supporters and contributions of our many volunteers, it includes an introduction from HRH Crown Prince Haakon of Norway. The report also features major highlights and accomplishments across our program areas, along with an overview of our Theory of Change. Together, TakingITGlobal and the Canadian Museum for Human Rights (CMHR) launched EVOKE: a nationwide, multidisciplinary, art contest for youth. Twelve young adults aged 15-24 submitted winning art pieces that communicate powerful messages of understanding in addressing world issues. The multi digital media art contest was an opportunity for youth across the country to be empowered to make a statement about their perspective on human rights and learn more about the Canadian Museum for Human Rights. TIGlink 2.1: TIG receives Global Youth Talent Award! On March 8th, 2010, TakingITGlobal received the Global Youth Talent Award. The regional government of Extremadura, Spain awarded TakingITGlobal for connecting and empowering youth around the world through technology and social media and for our organization's innovative work in the field of social entrepreneurship. TakingITGlobal is honored to receive this award, representing both recognition and support of TakingITGlobal's vision and mission by European leaders. TIGLink 2.0: Shaping our world in 2010! In January and February, TakingITGlobal Co-founder and Executive Director Jennifer Corriero attended three conferences engaging youth as direct participants in shaping our world with world decision makers. At the World Youth Meeting in Bari, Italy she presented on participation and citizenship and guided youth leaders looking for direction. Read more about her experience at this conference and the two other conferences she attended, the World Economic Forum in Davos, and One Young World in London. TIGlink 1.0: Top 10 of 2009! While at the COP15 Climate summit in Copenhagen, TakingITGlobal Executive Director Jennifer Corriero wrote a poem in reflection on the process and outcomes. Here's an excerpt: This is perhaps one of those eternal questions that carries both simplicity and depths of complexity juxtaposed in a tension so bright and dark that emotions explode and identities blurred. Is your belief defined by your role or is your role defined by your belief? [t]Want to subscribe to TakingITGlobal's Dispatch, Update, or Education Newsletters?